"A complex look at the long-standing consequences of privilege and toxic masculinity.... Compulsively readable " --Kate Moretti, New York Times bestselling author of The Vanishing YearMegan Mazeros and Lauren Mabrey are complete opposites on paper. Megan is a girl from a modest Midwest background, and Lauren is the daughter of a senator from an esteemed New England family. When they become roommates at a private women's college, they forge a strong, albeit unlikely, friendship, sharing clothes, advice and their most intimate secrets.The summer before senior year, Megan joins Lauren and her family on their private island off the coast of Maine. It should be a summer of relaxation, a last hurrah before graduation and the pressures of postcollege life. Then late one night, something unspeakable happens, searing through the framework of their friendship and tearing them apart. 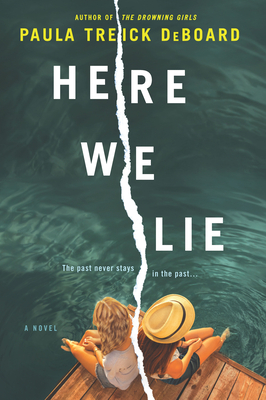 Many years later, Megan publicly comes forward about what happened that fateful night, revealing a horrible truth and threatening to expose long-buried secrets.In this captivating and moving novel, Paula Treick DeBoard explores the power of friendship and secrets, and shows how hiding from the truth can lead to devastating consequences.